Bulldogs are solid, consistent and definitely down to earth. Not pretty, but good people. No B.S. kind of folk. So bulldog owners should consider a "good buddy" kind of name. The type of name that would loan you some tools if they were your neighbor, or tell you exactly how you look in that dress. The kind of companion that has your back. More substance than exterior beauty. Gus - dignified yet down-to-earth. 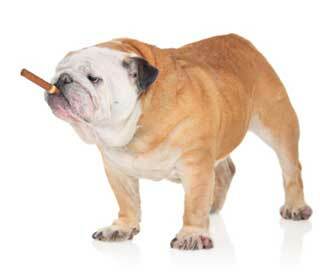 Louie - I think a dog should legally be allowed to smoke cigars if he is named "Louie". I don't care what the ASPCA says! Sam - "Sam the butcher, bringing Alice the meat". Norm - ever see the old TV show "Cheers"? 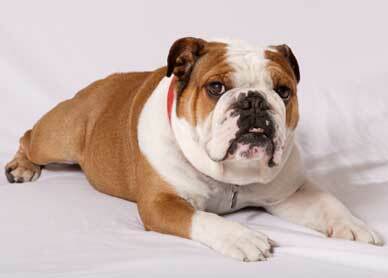 Bob - how great would it be to have a bulldog just named "Bob"? Ed - Ed. Enough said. Ed will never let you down. 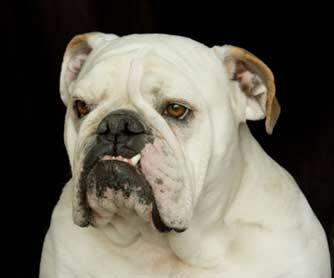 Ralph - an appropriate name because English Bulldogs often make this sound. Fred - Fred never watches Bravo or any of those chick channels. Fred watches football and drinks beer out of a bowl. Harvey - sent in, great name. Why do I visualize an old school bookie with thick black glasses? Larry - a submitted plain folk name. Larry has to make you laugh - thanks for that one! Little Sally, Betty, or Alice? Sally - keepin' it real with a name like Sally. Betty - a Betty thinks she's pretty, but she's probably not. But who cares? We'll never tell her. Mildred - love this one. Edna - my personal favorite female bulldog name! 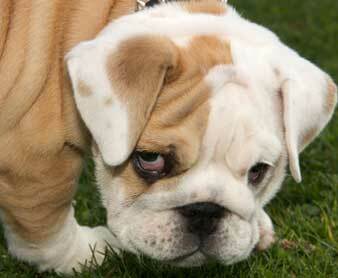 Do you have a great bulldog name? Submit it here!